Playing the drums can be a lot of fun, but it can also be quite the hassle — between setting your drums up, tuning them, selecting the right heads, and so on, there’s a lot of time spent, well, not drumming. That’s why we’ve put together this guide of drum accessories — to help you get past all the extra stuff and spend more time doing what playing the drums is all about. 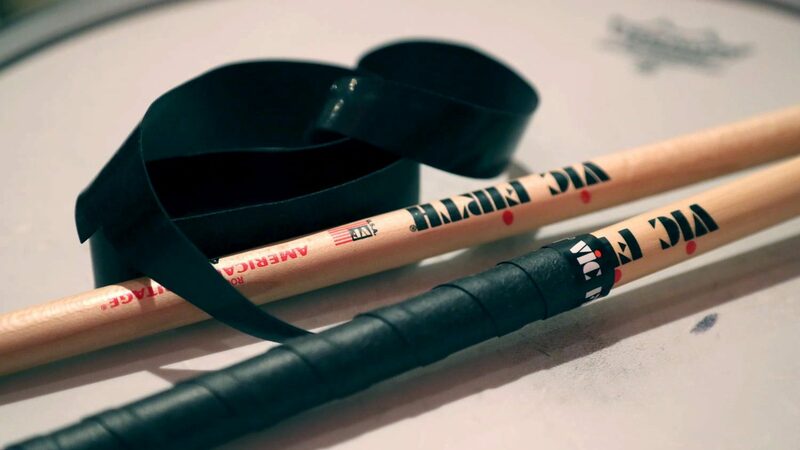 Check out these top 10 accessories every drummer needs, and if you find something you like, we’ve included links to quickly and easily buy it. 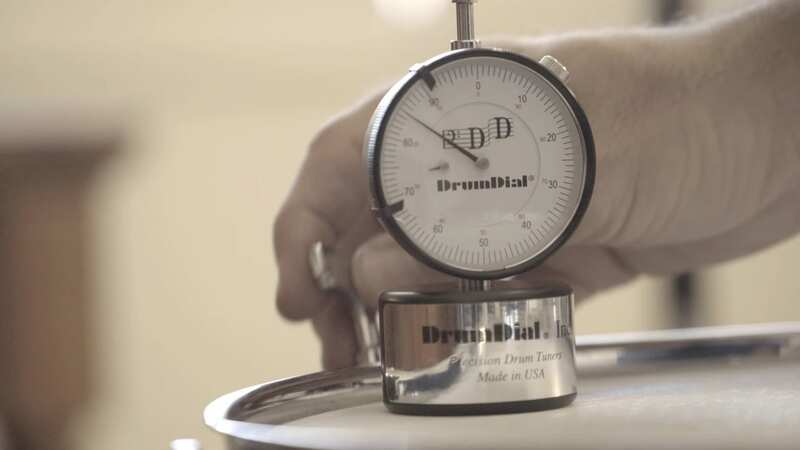 Tuning drums can be a real art form, and while a DrumDial isn’t going to totally replace learning how to fine tune your drums’ tone, many pros agree that it can at least help get you in the right ballpark quickly and easily. The way it works is that it basically measures the tension of the drum head through a spring, which helps you get the same head tension every time you tune. That means you can find the sweet spot for your drum, then match that next time you tune, the time after that, and so on. It’s a pretty neat device, especially if you go through a lot of drum heads, gig a lot, or just want to save a few minutes during the tuning process. You can’t always get behind a kit, but that doesn’t mean you can’t always practice. Getting a practice pad is a perfect way to keep practicing even when it’s late at night and your neighbors have gone to bed. Not only that, but it also forces you to practice the things you really should be practicing every day — rudiments and technique. 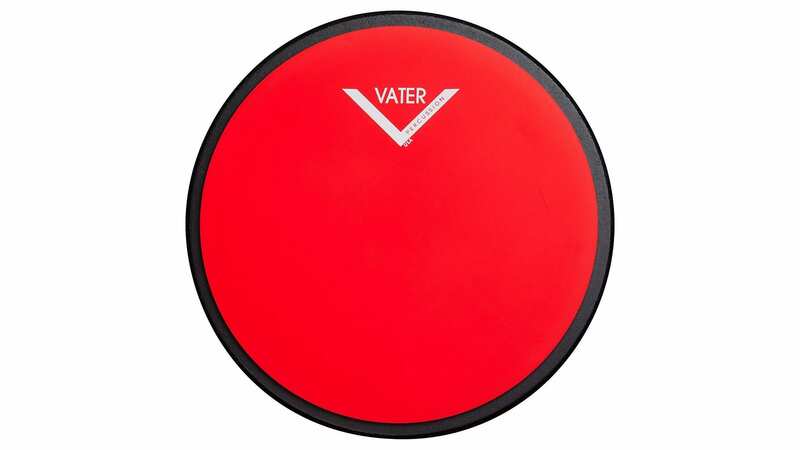 One of the best practice pads on the market is built by Vater. Apart from the fact that it offers a more realistic feel than some others, the pad also boasts the ability to scren onto any standard 8mm cymbal stand, so you can ensure the right position to maximize your technique. A great stick bag is important, especially if you’re a gigging drummer. Not only does it store and keep safe your tools for drummer, but it also helps you organize and manage those stick, which is very helpful in maintaining a flow behind the kit. 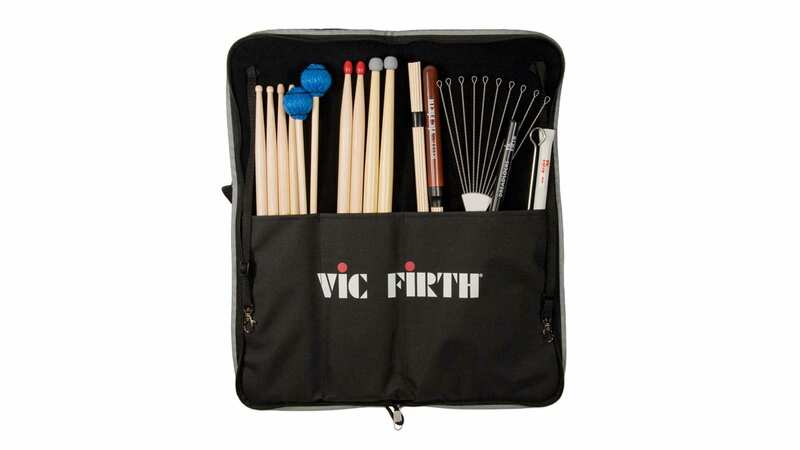 There are plenty of reasons many consider Vic Firth’s stick bags to be the best, but the main reason is simple — it has tons of room and pockets for all your sticks, plus for tuning keys, metronomes, and that DrumDial. Sure, the bag is a little pricier than the others, but hey, who ever said drumming was cheap? 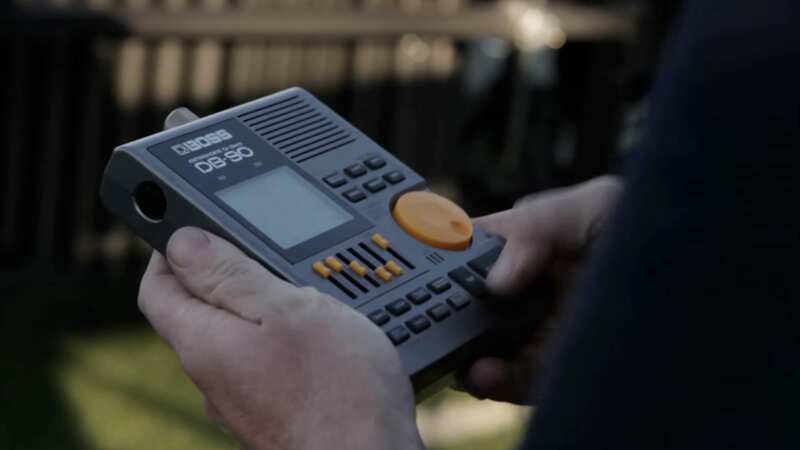 Every great drummer needs a good metronome — after all, drumming is all about keeping the beat, and if you can’t stay in tempo then that’s going to be a major issue for both your music and for your band mates. Boss has been making excellent metronomes for years, and the DB90 is no exception — in fact, it’s the flagship of the Dr. Beat line. The DB90 includes a number of different sliders, buttons, and a rotary dial for quick and easy tempo changes. On top of that, it has a foot switch input, allowing you to tap out the tempo for a song with your foot. It also has a backlight, for darker environments, and a number of different voices to choose from. Safe to say, if you’re looking for the best metronome available, the DB90 is the metronome to beat. If you’re a gigging drummer, you need a safe way to carry your cymbals around– after all, those precious cymbals don’t come cheap. 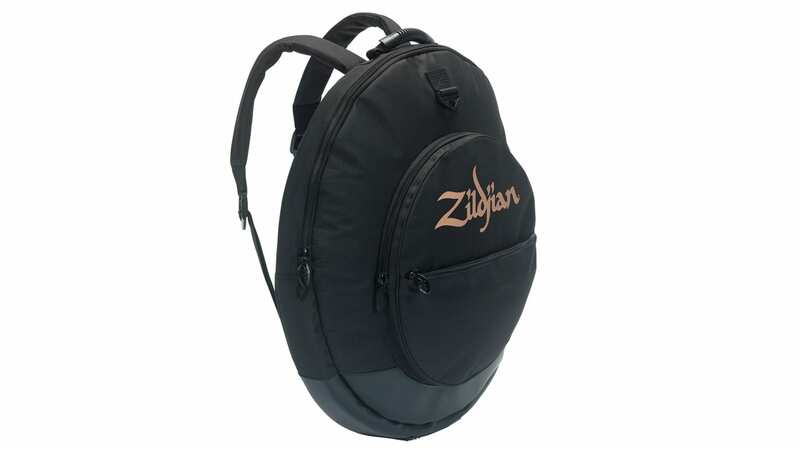 Zildjian‘s 22″ Gig Bag is one of the best ways to quickly and easily transport your cymbals while keeping them safe. Not only does the bag include a ton of padding for those cymbals, but it also has adjustable shoulder straps so you can wear it like a backback, and a number of different pockets for different size cymbals or other accessories that you may want to carry around. The bottom of the bag is also reinforced — so expect the bag to be able to handle far more than your cymbals weigh. You’ll want to keep in mind the size of your cymbals — while 22 inches is more than enough for the vast majority of drummers, if you have a truly monstrous 24″ cymbal you may want to look into larger bags. A good pair of in-ears is an important accessory for any gig — not only does it help you preserve your hearing, but it also ensures that you can hear the other musicians in your band. While a good pair of in-ears can run into the thousands of dollars and will most certainly do what you need, you don’t really need to spend thousands to get the job done. 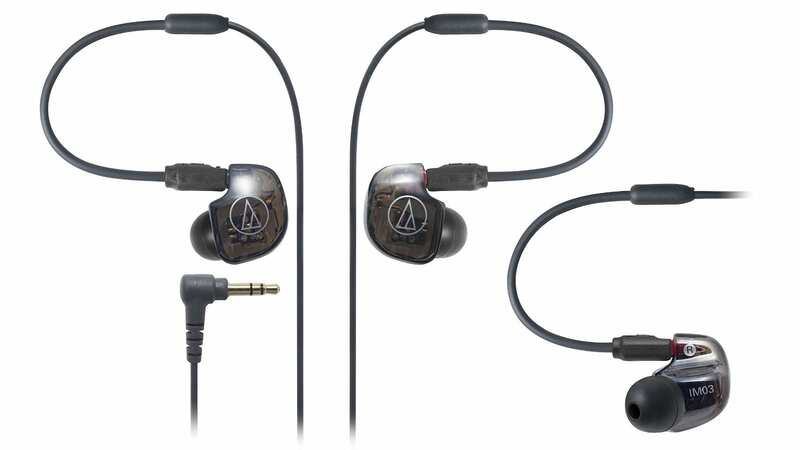 That’s where the Audio Technica ATH-IM03 come in. These in-ears are centered around three things — sound, fit, and functionality, and as such the drivers are tuned to offer an accurate sound reproduction while still ensuring a tight seal — blocking out all that external sound and preserving your ears. Sure, they are still a little pricey, but for what you get these in-ears come at a pretty great price. A drum’s natural tone is often best, but sometimes you’ll need to kill some of those overtones in order to bring out a drum’s true colors. When that’s the case, you need some Moongel. Like some drum heads and other dampeners, Moongel is aimed at removing some of the sustain from a drum, often making it sound warmer and removing the overtones that are often too much. 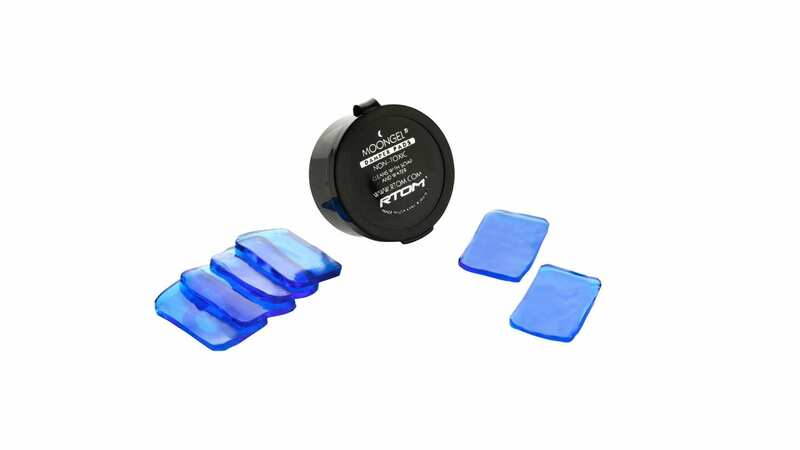 The difference between Moongel and other methods, however, is that Moongel is far easier to use — simply put it on the drum head to use, and take it off to stop using. That makes it perfect for when you gig and you’re using someone else’s kit — as well as for when you’re recording a need to kill some of those pesky overtones. Sometimes you’ll want to use in-ears for listening to music while you’re playing, but other times, such as when you’re practicing, all you need to do is deaden the sound a little to preserve your hearing. That’s where ear plugs come in. 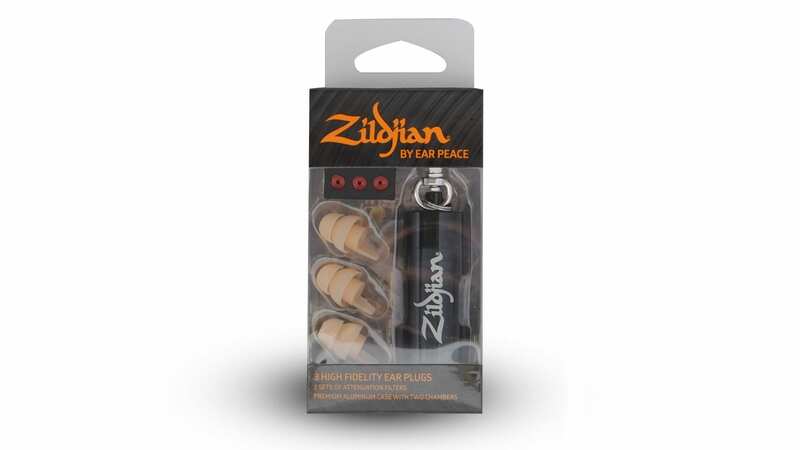 While Zildjian’s HD Ear Plugs are slightly pricier than other models, there’s a good reason for that — they’re comfortable, durable, and they cut out all that extra noise. Plus, they come with a case that can clip to your keys or stick bag, making them super easy to carry around. When you’re preserving your hearing, you really don’t want to skimp on cheap ear plugs — keep your most valuable asset as a musician and get some ear plugs ASAP. Some people prefer over-ear headphones to in-ears for one simple reason — they’re far more comfortable than in-ears, making them perfect for listening to music while practicing. In an ideal situation, you could use over-ear headphones while practicing at home, or while you’re in the studio, and in-ears while on the stage. Vic Firth’s Stereo Isolation headphones have long been the preferred choice for drummers around the world — they offer a ton of sound isolation, sound pretty great, and come at a very affordable price. This last accessory may not be as drumming-related as the others, but it can help you keep your flow on the stage or in practice nonetheless — by putting your drink in an ideal spot for you to grab. 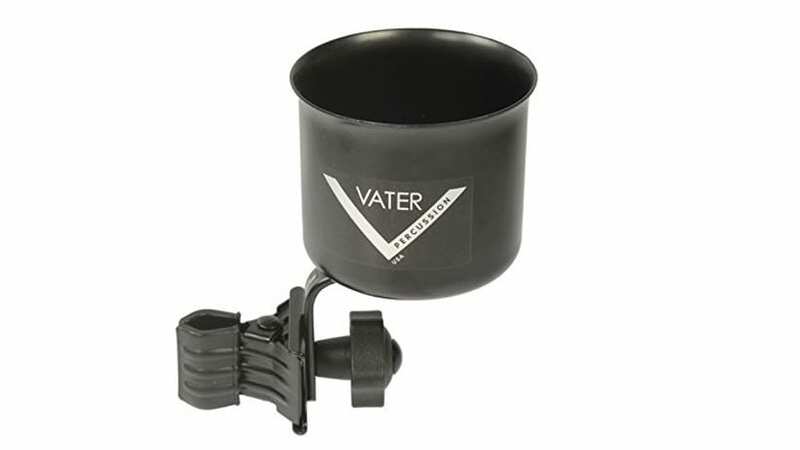 Whether it be a beer at the bar you’re playing or a water bottle to stay hydrated, the Vater Drink Holder is perfect for keeping the gigging drummer thirsty-free. Think we missed something? Let us know in the comments below!